NOTE: Your Microsoft Account must be on a domain that allows for external/public access to files. 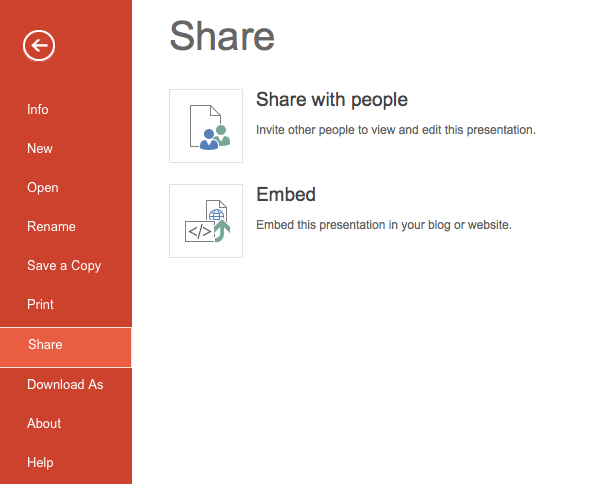 From the App launcher open PowerPoint and create or edit your presentation. TIP: Keep it simple and clear – too much text will confuse people and often will be too small to read on screen. You will need to click the blue Generate button to create the embed code – note that an embeded file can be viewed by anyone with the link. On the Embed setting screen just copy the embed code – The slide size settings won’t be used so it doesn’t matter what you choose. Now head over to TrilbyTV. From the + menu top right choose Web Content. Paste in the link you just copied and click the green Add button. You can optionally set an expiry time after which the clip will be removed from your TrilbyTV. Your web content is added to your feed like any other content, you will need to pop it in a category and approve it before it will show on your screens. If you want to use multiple slides you will need to open the PPT file in the Desktop version of PowerPoint and record the slideshow timings. 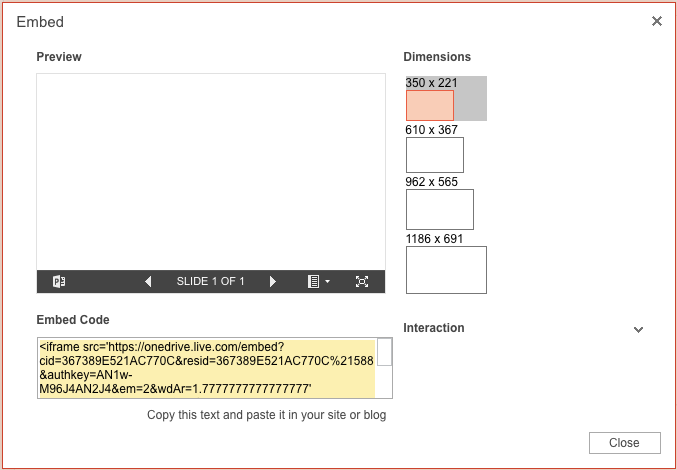 Microsoft PowerPoint does not have the feature to auto advance embedded slides.